DevOps, as any successful practitioner will tell you, involves deciding which processes in your organization are worth standardizing, and bringing software developers and IT operators together to work to automate them. When a company is making a strategic effort to shift the infrastructure hosting burden away from IT operations and toward the public cloud, it’s not always clear whether those infrastructural processes are due to be perpetuated or expunged. “They are two different tracks that are in the midst of converging,” where the DevOps journey and the cloud journey are happening in parallel, explained Naggi Asmar, vice president of engineering at customer experience platform provider Medallia. What is Medallia learning about this transition so far, particularly about the metrics it needs to which it needs to pay attention, in order to continue providing good customer experience (CX) for Medallia’s customers? As Medallia software engineer Guido de Caso told us, the first thing the company is discovering is the breadth of what it needs to learn, and what it thought were “best practices” before either journey started, has already come to be redefined. 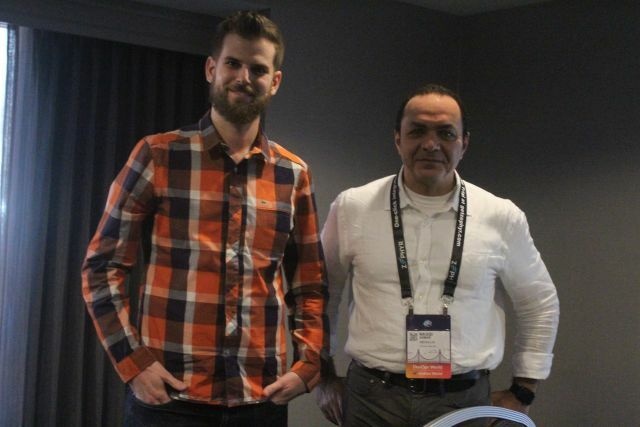 Hear more from de Caso and Asmar in this edition of The New Stack Makers podcast, recorded at the recent DevOps World 2018 conference in San Francisco. 3:33: When you are acquiring the data and metadata from a customer’s experience […] are you picking up statistical data, or are you judging based on commentary and textual responses? 7:43: What types of technical infrastructure has your company utilized? 10:02: Was the transition of Medallia to cloud native the same process as transitioning to a DevOps model? 13:19: Where does Medallia stand on that scale of experience when choosing a platform? 16:08: Do you have what you would consider a rapid release? 21:09: Would you agree that cloud native will change the nature of what it is you measure, and how you measure success or failure?